Skills@Work is compiled and distributed by the Australian Government Department of Education and Training. All articles are submitted by the originating organisation and are published with their approval. If you would like to provide feedback on this newsletter, please send us an email. The Australian Industry and Skills Committee (AISC), chaired by Mr John Pollaers, has pursued an ambitious agenda since its establishment in May 2015. The Committee has made strong progress, approving 17 training packages for implementation. To improve understanding of challenges and issues across Australia, the Committee meets in different jurisdictions. State ministers responsible for skills and training have attended these meetings and outlined state priorities and challenges and participated in robust discussions with AISC members. Thus far the Committee has met in Brisbane, Sydney and Adelaide, and will meet in December in Hobart and other capitals next year. The AISC has also provided industry perspectives into current VET policy considerations including the Reform of the Federation White Paper, the draft National VET Assessment Strategy and apprenticeships reform. The Committee also considered recommendations of the review Training Packages and Accredited Courses. The AISC is committed, through the new arrangements for training product development from 1 January next year, to increasing the efficiency of training package development and improving the responsiveness of the skills and training system, particularly in areas of structural or technological change and where collaboration underpins growth and international competitiveness. The Committee places great importance on a strong evidence base, informed by labour market need and the current and emerging skills requirements of industry, to guide the prioritisation and scheduling of training product development, support quality and improve responsiveness. To strengthen the AISC’s links with industry and build understanding of the new model for training product development, John Pollaers has undertaken extensive stakeholder consultation, including with employers and employees and their peak bodies, government (commonwealth, state and territory), registered training organisations, students and the public. These meetings have highlighted opportunities for industry to drive change and build on the strengths of the current system. In October Mr Pollaers met with chairs of current industry advisory groups to discuss the transition to Industry Reference Committees (IRCs). Under the new arrangements for training package development, IRCs will have significantly enhanced leadership, direction setting and decision-making roles. IRCs will be based on existing industry advisory bodies for training package development and consist of industry representatives with knowledge of the skills needs of their sector, industry or occupation. Committees representing industries across the Australian economy will gather advice from industry and drive the development of timely, industry-relevant training packages that deliver the skills and competencies to drive the Australian economy. IRCs will provide an essential forum for industry engagement and a conduit for industry feedback to government. 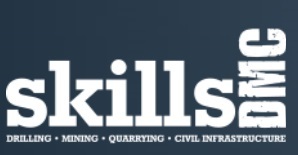 Supported by Skills Services Organisations, IRCs will undertake key functions, including gathering industry intelligence to inform training product development and review, overseeing the development and review of training packages and promoting vocational education and training in the sectors they represent. Skills Services Organisations (SSOs) will provide a range of independent, professional activities to support IRCs to review and develop training packages. SSO services may include project management and secretarial support to facilitate decision-making by IRCs. Further information about the AISC and its business, training packages, both approved and scheduled, IRCs and transition to the new arrangements is available on the AISC website. Australian expertise and knowledge will be applied to assist India increase the skills of its workforce through international trainer and assessor courses mapped to Indian standards. Minister for Education and Training Senator Simon Birmingham said the first pilot of the courses—a collaboration between Kangan Institute and Australian firm, OGM, which also includes Indian training provider IL&FS—commenced in Delhi on 5 October 2015. "Access to quality skills trainers and assessors is a key aspect of any skills training system,” Senator Birmingham said. “The courses are aligned with Indian training qualifications allowing Australian training organisations to work with Indian partners to help meet India’s skills needs. “The three International Training and Assessment Courses will be tailored to the needs of India to enable local firms and training institutions to quickly raise the standard and capacity of skills training. “Global skills development is an exciting opportunity for Australian businesses to explore, as they increasingly look to growing economies like India for new opportunities. “These internationally relevant courses meet the global demand for skilled trainers and assessors. “India and Australia share a desire to offer the best quality training so more people can realise the benefits of a world-class training qualification,” Senator Birmingham said. “For India to meet this goal it needs to increase the number of trainers and assessors with an immediate supply of 70,000, then another 20,000 each year. At the completion of the pilot, early in 2016, the International Training and Assessment Courses will be available for Australian Registered Training Organisations to deliver in offshore markets under licence. Thursday 15 October 2015, the Australian Government introduced the Higher Education Support Amendment (VET FEE-HELP Reform) Bill 2015 into the House of Representatives. For those who haven’t heard of the VET FEE-HELP scheme, it is an income contingent loan scheme that helps students to pay for higher level VET courses (at the Diploma and above level). It is similar to the HECS-HELP scheme for higher education students. On 12 March this year, the government announced a suite of reforms to the VET FEE-HELP loan scheme to enhance the integrity of the scheme and strengthen protection for students and the taxpayer. The first of these changes—banning of inducements such as free laptops, or cash, or vouchers—came into effect on 1 April this year. the removal of barriers to withdrawal (such as withdrawal fees). The government has also announced that from 1 January 2016, providers cannot levy the full debt load up-front and in one hit. Instead, students will have a number of opportunities to accrue their debt as they progress through their course. The Bill broadens the circumstances in which a student can seek a remission of a debt, making it easier for students to have debts that have been unfairly applied (due to breaches of certain requirements) cancelled, a cost that will be recouped from the relevant provider. These measures will not be implemented retrospectively; they will apply in respect of behaviour which occurs after 1 January 2016. This amendment establishes the student ‘entry procedure’ requirements. These requirements seek to protect vulnerable students, at the starting point, before they incur a debt, by protecting those students who do not have the capacity to undertake a course at the Diploma or above level. Providers will be required to have a written ‘entry procedure’ which is used to assess each student’s academic ability prior to accepting a student for enrolment and prior to that student being able to access a VET FEE-HELP loan. Providers will need to comply with their ‘entry procedure’ which must include minimum requirements, to be specified in the VET Guidelines. This amendment seeks to protect students under the age of 18 by requiring a parent or guardian’s signature before being eligible to apply for VET FEE-HELP assistance. An exemption will be available for persons receiving, or who have received, youth allowance (within the meaning of the Social Security Act 1991) on the basis that the person is independent (within the meaning of Part 2.11 of that Act). With this amendment the Government seeks to strengthen its ability to take action against providers who would breach the legislation and the VET Guidelines. The amendment establishes an infringement notice scheme. The infringement notice scheme will be introduced and attached to civil penalties for breaches of certain requirements. The Bill also clarifies the powers for monitoring and investigation to enhance compliance activities. This amendment establishes minimum trading history requirements for new provider applicants. Providers seeking approval to offer VET FEE-HELP loans will need to have a minimum trading and training history. The time period will be specified in the VET Guidelines. This enhances the scheme by ensuring providers are experienced, quality training or education providers. It also seeks to ensure that competent persons are responsible for the audit of and preparation of financial statements. Audits of financial information will only be able to be conducted by Registered Company Auditors. Accountants responsible for the preparation of financial statements will be required to be accredited as either a Certified Practicing Accountant or Chartered Accountant by the relevant industry professional body. The amendment also clarifies that a trustee of a trust cannot be approved as a VET provider. The amendment is intended to reduce the level of financial risk to students and the Commonwealth. To ensure consistency the amendment makes changes to ensure the Act reflects the recent change to the VET Guidelines concerning the two-day gap between a student’s enrolment and their application for VET FEE-HELP. You may wish to review the proposed amendments to the Higher Education Support Act 2003 as they are debated. You are able to track its progress on the Parliament of Australia website. USI - the enrolment process! As an RTO, you are required to collect and verify a student’s USI before you can issue a qualification or statement of attainment, unless a specific exemption applies. Although not mandatory, having the USI as part of your enrolment processes will generally make managing your reporting requirements much easier. Make sure your students are aware of the need for the USI and how to get one. If your student has undertaken training in Australia since 2015, and has forgotten their USI or doesn’t know if they have one, use the LOCATE USI function to see if there is already an existing USI in the system. If it has been established that there is no USI located for the student, you can help them to create a USI or collect information to create a USI on their behalf, but do seek their permission prior to doing so. Always ensure that they are aware you are creating a USI for them. This will avoid unnecessary duplication. Encourage them to then store their USI somewhere safe! Remember, you will still need to verify a student’s USI even if you don’t plan on creating a USI on their behalf. It is also important that you verify USIs at the point of entry wherever possible and before the student completes enrolment or as soon as possible afterwards. The main cause for failure to verify are data entry errors by the student or RTO and submission of different name details to those used to create the USI. Students can log in and check their USI account details at any time. If possible, check USI details against the confirmation document supplied to the student or against the same ID document used to create the USI. Follow up all missing or unverified USIs quickly with your students. System to system connectivity between your student management system and the USI Registry System enables you to create (with a student’s permission) and verify USIs through your own system. This means a more streamlined process. Are you connected? If not, get connected with us today! If you are experiencing trouble connecting or understanding your obligation as an RTO, contact us via our dedicated RTO helpline 02 6240 USI 0. Alternatively, you can email us. Stay up to date with the latest news on the USI via our website. 2015 Australian Training Awards finalists announced! Australia’s best apprentices, trainees, VET teacher/trainers, vocational students, businesses, schools and registered training organisations that have made an outstanding contribution to skilling Australia have been recognised as finalists for the 2015 Australian Training Awards. The finalists are competing for a national title via a rigorous judging process, with the winners to be announced at the Australian Training Awards presentation dinner in Hobart on 19 November. The recipient of the Lifetime Achievement Award will also be announced at the event. The majority of the awards are the culmination of the state and territory awards with winners from aligned categories in each state and territory eligible to compete at the national level. There are also seven award categories available by entering directly to the Australian Training Awards. Profiles of all finalists are now available on the 2015 finalists page of the Australian Training Awards website. 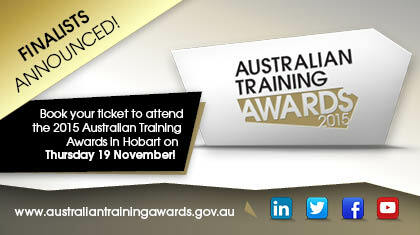 Book your ticket now by visiting the Event page of the Australian Training Awards website. From 2016 there will be changes affecting Smart and Skilled entitlement, traineeship fees and fees for students with disability. From 2016, students with a Certificate IV or higher qualification will be able to access subsidised Smart and Skilled training up to Certificate III level. This means that, providing they meet the personal eligibility criteria for Smart and Skilled, all individuals will have access to a training entitlement in 2016, regardless of the level of any previous qualifications held. From 2016, the NSW Government has capped the Smart and Skilled traineeship fee at $1,000. This will enable more access for students to be trained in the skills to get a job and encourage the uptake of traineeships. From 2016, eligible students with disability and eligible students who are the dependants of Disability Support Pension recipients will be exempt from fees for any Smart and Skilled qualification they undertake, regardless of the number of qualifications in which they enrol or the level of the qualification. This change, which applies to training commenced on or after 1 January 2016, will help to remove barriers to training experienced by people with disability and simplify the enrolment process for training providers and students alike. The NSW government is investing $10 million for students to learn new skills that will support the delivery of the NDIS. There will be 2,000 additional training places available in course areas such as Disability, Community Services, Auslan and Aged Care from 1 January 2016. These courses in health and community services offer an opportunity for eligible students to gain the skills required to secure a job in a high demand sector. Fee arrangements for these courses will be the same as for all other Smart and Skilled qualifications and will depend on the student's individual circumstances. With less than two months to go in the Regional Competitions, young apprentices, trainees and students continue to vie for their chance to represent their regions at the 2016 WorldSkills Australia National Competition in Melbourne. The 2015 WorldSkills Australia Regional Competitions have been running since March, where hundreds of young hopefuls from across the country have stepped up to the challenge and wowed the judges with their skills and expertise. Read more …. Following the 2015 Skillaroos’ return from the 43rd WorldSkills Competition in Brazil, Mr Mark Callaghan, CEO WorldSkills Australia, writes that trade and skill-based professions are entering an exciting period of evolution. Read his message about ensuring that the skill sets of young Australians continue to advance with technology, allowing them to have opportunities for the jobs of the future. WorldSkills Australia will soon be calling for Expressions of Interest for the role of National Competition Judges for the 2016 WorldSkills Australia National Competition. National Judges are an integral part of making the National Competition happen. They are required to be fully conversant with the relevant National Training Packages and Industry Standards and their responsibilities include assisting with setup, running and pack up of skill category. For further information please contact Carmel Langan, Operations Coordinator at clangan@worldskills.org.au or 03 9249 1000. 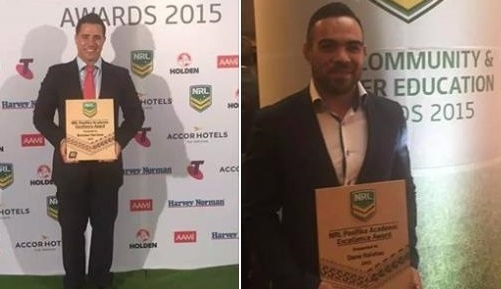 Congratulations to Australian Apprenticeship Ambassadors Bronson Harrison (left) and Dene Halatau (right) who both received the NRL Pasifika Academic Excellence Award at the recent ANRL Community and Education Awards Night. This award recognises NRL players who have demonstrated extraordinary commitment to Rugby League, their education and Pasifika outreach. Wests Tigers’ Dene has an extensive line-up of qualifications: a Diploma of Building and Construction, a Diploma of Business Management and a Mental Health First Aid course. He has actively represented the Pasifika Players Advisory Group over the last four years, demonstrating and encouraging authentic cultural leadership amongst his fellow Pacific players. Dene is a committed advocate of education amongst the Rugby League community and is his team’s ‘go to’ player for advice, help and support. He has presented at the NRL Rookie Camp and is a NRL Trade-Up Program mentor, which has seen him quickly become a role model for younger players. Bronson, from the St George Illawarra Dragons, also has an impressive list of qualifications including a Diploma of Management in Business Services, a Certificate II in Security Operations, a Certification III and IV in Fitness and Certificate IV in Career Development. He has used his studies to own and manage a number of businesses and has been an apprentice mentor with the Dragons for the past two years. Bronson has been an integral part of the Pasifika Players Program since attending the first Pasifika Players Leadership Camp in 2012 and has shown great initiative in empowering other Pacific players to step outside their comfort zone away from football. Read more . . . In September MSA hosted representatives from the VET sectors in the Philippines and Vietnam under the Government Partnerships For Development (GPFD) programme. An industry visit to House with No Steps provided the visitors with the opportunity to observe innovative workplace training delivery in action. House with No Steps is an Australian Disability Enterprise which employs over 600 people with disability in 11 diverse industries through their business services division. MSA was invited to tour two of their sites in Newcastle and to view on-site delivery of training for both people with disabilities and their able-bodied peers. Through funding provided by the Australian Department of Education and Training, House with No Steps is upskilling the workers in Certificates II and III in Process Manufacturing and Certificate IV in Competitive Systems and Practices. Additional funding was provided by the Department to support workers with language, literacy and numeracy needs. Developing a strong relationship with the registered training organisation (RTO) resulted in the RTO having a clear understanding of the organisation’s needs, ethics and goals and the resultant program is an excellent example of collaborative delivery and assessment. The visit provided the GPFD visitors with the opportunity to develop a stronger understanding of the flexibility of national Training Packages. Both were very impressed. MSA would like to thank both the House with No Steps and Impact Training Institute for a wonderful and informative day. The Transition Work Plan replaces MSA’s Continuous Improvement Plan as Training Package transition activities are undertaken on behalf of the Department of Education and Training until 31 December 2015. Check individual project pages for further developments or view the Transition Work Plan. Applications close 30 November 2015. Inspired by her father to follow her aviation dreams, Trish Beckman, Founding Board Member of Women in Aviation International (WAI), is offering a scholarship to encourage an Australian woman to follow her dreams. In spite of his humble beginnings, “Hoss” Beckman worked hard all his life to provide for his family, living his life with integrity and providing positive encouragement to everyone. He was especially proud of his faith, his family, his military service, and his volunteer service with the sheriff’s posse and fire department. His daughter Trish is eternally grateful for his inspiration and encouragement. The scholarship’s estimated value of $2500 provides return travel from Sydney to Nashville, Tennessee to attend the WAI conference from 10 -12 March 2016 and includes four nights’ accommodation and conference registration. Scholarship selection will be based on an applicant’s essay explaining how WAI conference attendance will help them follow their dreams, and how they will inspire others to follow their dreams. For further information or to apply, go to the Aviation Aerospace website. The numbers are now in and the outcome confirmed – companies that invest in developing their employees’ workplace language, literacy and numeracy skills (LLN) can generate a return of 100% – 163%, according to findings of research conducted by the Australian Industry Group and the Australian Council for Educational Research. The findings, which are documented in the new report, Investing in Workplace Literacy Pays, provide a powerful case for enterprises across a variety of industry sectors to increase the LLN skill levels of their employees. It is especially important news for manufacturing which typically performs lower than many other sectors when it comes to LLN. Download the report to find out how companies have achieved these returns. • SFL Floristry Training Package - now available for download on training.gov.au. The mandatory Companion Volume Implementation Guide which provides advice, guidance and mapping documents on the implementation of the training package is also available. • the beauty components of the SHB Hairdressing and Beauty Services Training Package – now available for download on training.gov.au. The mandatory Companion Volume Implementation Guide which provides advice, guidance and mapping documents on the implementation of the training package is also available. For more information, please contact trainingpackages@serviceskills.com.au or phone 02 8243 1200.
a new unit covering electronic blasting systems developed and added as an elective in a number of surface extraction and underground mining qualifications. More information can be found on the SkillsDMC website. Faces of Excellence this month celebrates carpenters, their work and their contribution to our community. 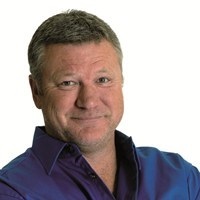 Host of Channel Nine’s The Block and 2014 Gold Logie winner, Scott Cam is one of Australia’s most loved television personalities. His rise to becoming a household name started with an Australian Apprenticeship. “My apprenticeship was one of the best things I ever did," he says. "It gave me time to learn on-the-job, and there’s no better way of learning than just getting stuck into it." Now, Scott is giving back to the building industry by employing and training Australian Apprentices. Read what he had to say about the important role Australian Apprentices play on The Block. Philip De Jong from Kingston, Tasmania is in his mid-20s, is fully-qualified and has nearly finished building his own house. He says the flexibility of his employer and Australian Apprenticeship has allowed him to choose his own career path. 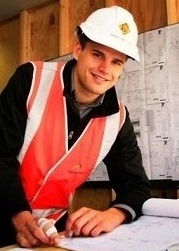 Philip completed a Certificate IV in Carpentry with Fairbrother Pty Ltd and is now working in project management and estimating. He became the third Fairbrother employee in three years to win the Master Builders Australia Apprentice of the Year award in 2013. Read why Philip recommends doing an Australian Apprenticeship. For Brad Meyers, nothing will rival the memories of winning premierships in two countries, playing for your country or representing Queensland in state of origin. But completing an Australian Apprenticeship is proving to be vital for the former Brisbane Bronco and Gold Coast Titan. 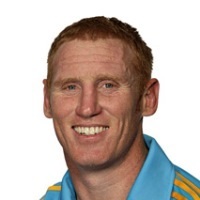 Brad completed his carpentry qualification while playing in the NRL then was forced into retirement through injury. “Completing my apprenticeship gave me piece of mind” he said. Read about Brad’s role as an apprentice mentor with the Gold Coast Titans in the Trade UP with the NRL program. This national conference marks the revival of annual national VET teacher-education conferences. CEOs and Managers from TAFE Institutes and RTOs. Professor Roger Harris, University of South Australia speaking on What do we learn from 40 years of history? Issues in VET teacher education from Kangan to today. Mr Craig Robertson, Deputy Secretary, Higher Education and Skills Group, Victorian Department of Education and Training. Innovation and Business Skills Australia. Eight research-based papers, in two parallel streams, on VET teaching, VET assessment, VET quality and VET teacher-training. Authors of these submissions come from the VET sector and universities offering VET teacher-training programs. Conference Registration is only $100 due to Victorian government sponsorship. Register by 9 December on the Australian College of Educators' website. Registration is now open for the 2016 AITD national conference. Book early and save up to 40% off standard registration prices. AITD's Annual National Conference is a highly regarded event for providing delegates with high quality, dynamic presentations on an exciting range of innovative topics. In 2016 we will be exploring technology, learning strategy, innovation, social and collaborative learning, leadership, talent development and much more. Visit the AITD website to register and for more information. Details about speakers and topics will be posted on the website as they become available. Follow @aitd1 on Twitter #AITD2016 for updates. More details available on the Master Builders’ website. For more information, visit the NCVER website. The Australian Training Awards presentation dinner event will be held at Princes Wharf No. 1, Hobart, Tasmania on Thursday 19 November 2015. Book your ticket now by visiting the Event Registration page of the Australian Training Awards website. The conference embraces the philosophy of Indigenous community control and mainstream service providers through promoting an informative forum of research, health education and training of staff for the betterment of Indigenous health. Visit the event website to register or for further information or email admin@indigenoushealth.net. Visit the Velg website for more information or to register. More event information will be available here soon. You can send a request for an Australian Apprenticeship Ambassador to share their success story at your event or activity. Visit the Australian Apprenticeships Ambassadors Map to see who is located nearby, read their success story and send a booking request. *28 days’ notice is required to book an Australian Apprenticeships Ambassador. The Australian Training Awards has released the third Real Stories Real Achievements video series which shares the inspirational journeys of people and organisations who have found career and business success through vocational education and training (VET). Starring in the videos are the winners and finalists of the Australian Training Awards, many of whom are also Australian Apprenticeships Ambassadors. For more information about the Real Stories Real Achievements video series please contact the Australian Training Awards at australiantrainingwards@education.gov.au. eworks offers a range of products and services to help businesses maximise the benefits of online education. Visit their website and read some of their recent blogs to learn about their practical solutions, tools and advice. There are now 33 LLN videos available to view online or download for free on the Ideas that Work website. economic security for women (eS4W), an issues-based group,advocates for change to policies which continue to impact negatively on equality for women and their ongoing economic security. eS4W promotes the belief that economic wellbeing and financial security are essential for women and will enable women of all ages to have an equal place in society. Read more . . . .
as a package for training organisations to include on their learning management system. If you work in the tourism and hospitality industry, download this Guide and workforce planning templates from Service Skills Australia for practical advice on making sure you’ve got the right people and skills to meet your business goals. This app provides a live feed of current local jobs to local jobseekers via their phone as well as indications of trending industries, vocational education training information and services available for retrenched workers and other key groups in this region. Available to download from the Geelong Careers website, the App Store or Google Play. For more information or to view sample pages, please visit Aspire’s website or call (03) 9820 1300. Catapult eLearning at Catapult eLearning at info@catapult-elearning.com or phone (08) 8275 9380. MSA has revised and updated the highly successful Making the Connections professional development resource designed to assist VET practitioners integrate foundation skills and language, literacy and numeracy into their training. Numeracy by Measure , Numeracy in Practice and Numeracy in Focus. For more information please email Tina Berghella at Oggi Consulting. Visit VOCEDplus to stay in touch with current research, policy and practice across a broad range of areas affecting the VET sector in Australia and internationally. Please visit the website to download the resources. Unique Student Identifier (USI) - provides information about the USI, a reference number that creates a secure online lifetime record of an individual’s nationally recognised training and qualifications. If you would like to provide feedback, supply an article for inclusion in the next edition or join our list of subscribers, please email skillsatwork@education.gov.au. The next edition will be published in December 2015. Submissions are due by Friday 20 November 2015.